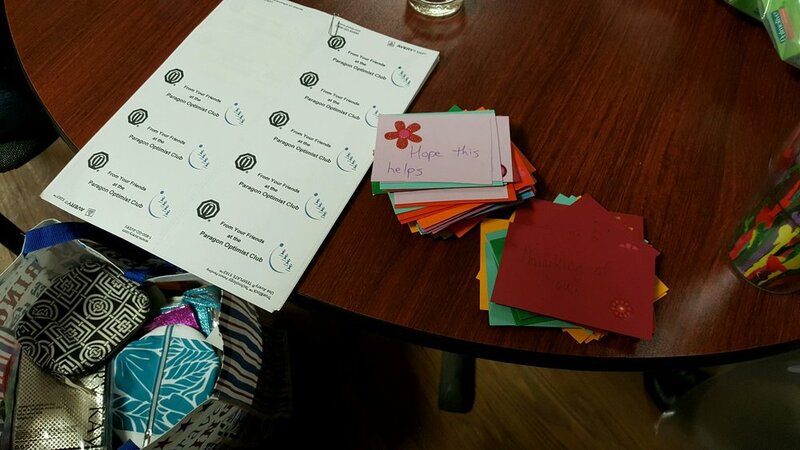 This post's title is a bit of an inside joke because of everything else we've done this month, but we are so happy to donate to a local women's shelter, Hope House! 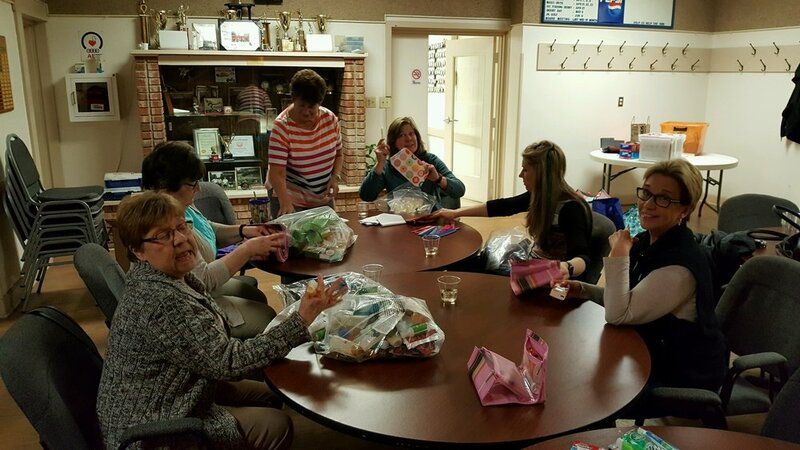 Tonight was the beginning of our newest committee, Paragon Pals, where we assembled 100 care bags for the women's shelter. The bags included toothbrush, toothpaste, soap, shampoo, conditioner, razors, combs, tissues, and other miscellaneous items. We also enclosed a little note of encouragement for each bag. Everyone needs a kind thought to make their day!